DC Thomson is a private company and one of the leading media organizations in the UK. It is headquartered in Dundee, Scotland, with a London base in the world-famous Fleet Street. The company publishes newspapers, magazines and has diversified into new media, digital technology, retail and television interests. On this daily tech podcast, I am passionate about exploring how industries you would not associate with technology are evolving and leveraging technology without adding the decline of their traditional offering. Printed media has experienced more challenges than most as we enter the digital transformation. In a digital world where we read what an algorithm recommends for us, I also wanted to learn more about how we can protect those happy accidents in life where we stumble across content by accident. 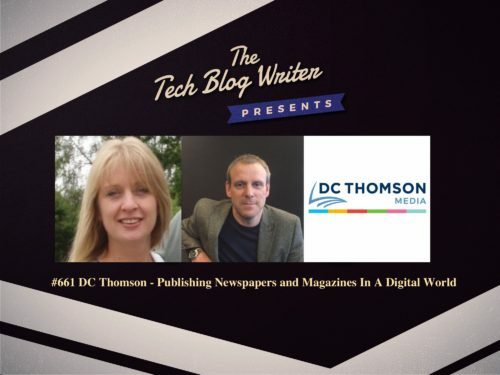 While here at MagentoLive Europe, I invited Kirsten Morrison and Alan Melrose onto the show from DC Thomson to find out more about how both the worlds of print media and advertising are evolving. We also discuss how they are turning challenges into opportunities by leveraging technology. Kirsten Morrison is an experienced digital media executive with proven experience in digital transformation. The dynamic marketing and digital professional shares her experiences in digital, commercial, marketing, brand, and communications strategy. Currently working for DC Thomson newspaper publishing group as digital commercial ops manager, assessing software solutions to either build or integrate with to develop new customer and data acquisition strategies. My focus is primarily on the growth and monetization of new and existing audience segments. Alan Melrose is the digital commercial operations manager at DC Thomson newspaper publishing group where he has been assessing software solutions to either build or integrate with to develop new customer and data acquisition strategies. His focus is primarily on the growth and monetization of new and existing audience segments. As Magento Commerce Cloud integrates into Adobe Experience Cloud, we discuss how experiences are reshaping the traditional world of publishing newspapers and magazines.